Nikola Motors will be an electricity guzzler. Probably not a wise marketing move for the automaker. Nikola Motor Company plans to launch its first hydrogen refueling station by the end of 2020 and have more than 820 such station within 10 years - by the end of 2028. 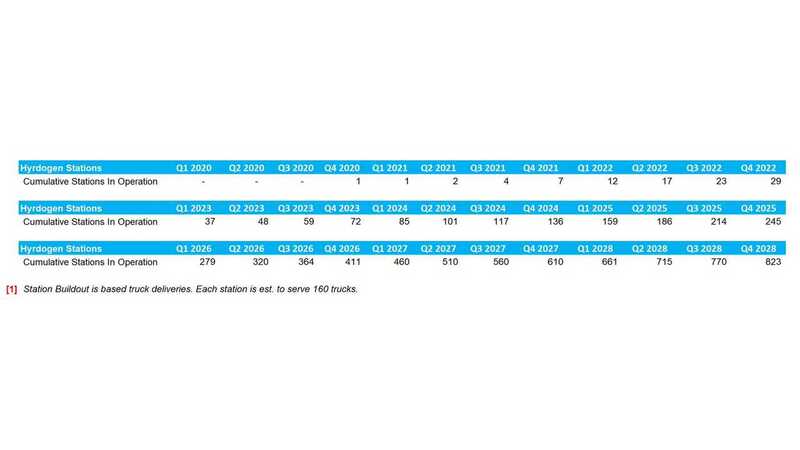 Because each of those stations are expected to serve 160 hydrogen fuel cell trucks a day (up to 8,000 kg of hydrogen), the amount of renewable electricity (mostly photovoltaic) needed to satisfy demand is projected to be extremely high. The scenario envisions that 422 MWh of electricity is needed daily per station, which brings the total to 349 GWh for 828 stations in 2018 every day. 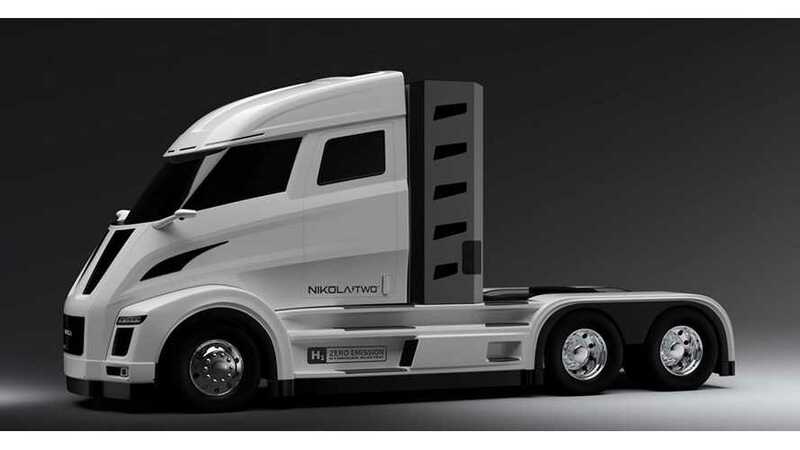 "Within 10 years,@nikolamotor will become the largest energy consumer in America. Estimated 820 stations going online by 2028. Each station fills 160 trucks daily- will consume 422 MWh of renewables (422 MWh X 828 stations = 349 GWh per day)"
Assuming that 422 MWh is needed for 160 trucks, a single truck will need 2.6 MWh or 2,600 kWh of electricity to produce enough hydrogen for all its tanks. And that's probably a reasonable amount - because total efficiency of using hydrogen is low. We believe that an all-electric truck could do the same distance using 800-1000 kWh battery (charging losses would probably be only several percent).